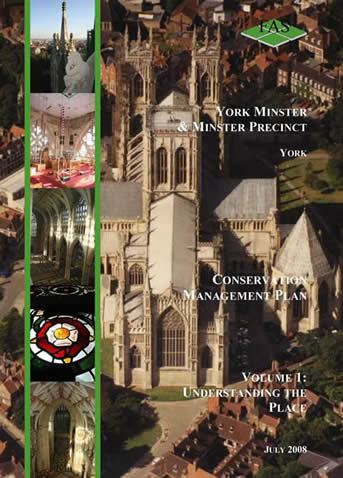 Whether you are a charitable trust, a cathedral chapter, a statutory regional authority or a private property owner, conservation management plans equip you with the tools to understand and manage your heritage asset. Conservation management plans are an essential gateway to sources of funding for historic sites and buildings and are required for some applications to the Heritage Lottery Fund. Conservation management plans are one of our specialities and successfully adopted plans include castles, cathedrals, abbeys, priories, manor houses, guildhalls and historic urban areas. We assemble and head a bespoke team of specialists who work in close contact with the client and stakeholders to ensure each conservation management plan serves each individual site. We also act as heritage consultants within a team led by other specialists and undertake quinquennial reviews of plans whether or not we compiled them originally. The commission of a conservation management plan is an important investment and we welcome enquiries relating to any kind of site.